Digital marketing is a new way of marketing that seeks to capture the attention of customers through online channels. The way people shop has changed due to the internet & if you are still using traditional methods of marketing then you are missing out in your business or career. 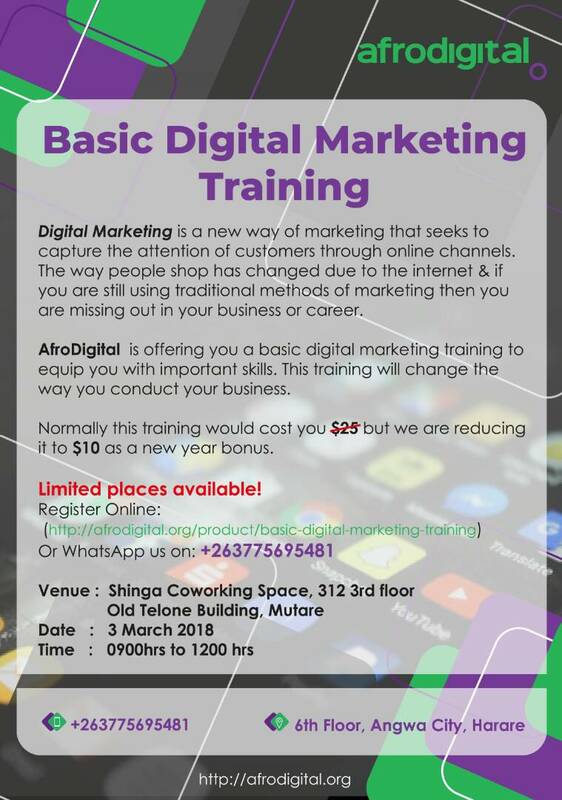 AfroDigital is offering you a basic digital marketing training to equip you with important skills. This training will change the way you conduct your business. Normally this training would cost you $25 but we are reducing it to $10 as a new year bonus.